Fairfield Hills Golf Course & Range received two state awards at the 2017 Golf Course Owners of Wisconsin (GCOW) annual awards banquet. For the third year in a row, the 9-hole Baraboo public golf course won the top Appearance and Maintenance award. Fairfield Hills Golf Course Manager, Nick Winters, also won the GCOW Award for "Teacher of the Year" at a 9-hole golf facility. The awards ceremony was held at the Old Hickory Golf Course in Beaver Dam on November 15th. Awards were based on golfers' votes on the www.gcow.org website during the 2017 golf season. Course owner, Jim Tracy and Manager Nick Winters, were on hand to receive their awards. At the awards ceremony, Tracy thanked the association for their recognition and cited courses hard working team for their attention to detail as the reason for Fairfield Hills continued success. Nick Winters won the "Teacher of the Year" award for a new weekly on-line video series he created called the "Sunday Swing." Nick was able to reach a significant number of golfers via his You-tube videos that were posted every Sunday evening on the Fairfield Hills website and Facebook pages. The 30-episode series kept golfers up to date on current events at Fairfield Hills, as well as provided quick tips on many aspects of their golf game, and encouraged viewers to leave comments with ideas for future videos. Nick is excited about continuing the series in 2018, stating, "It was a fun idea to try. 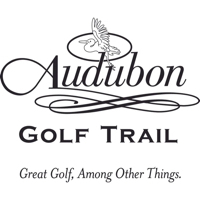 It's important for us to reach our golfers outside of the pro shop, and the series provided a way to connect and interact with our customers in a relevant and unique way." Fairfield Hills Golf Course & Range is a 9-hole family-friendly par 30 course located on Fox Hill Road in Baraboo. The course is challenging enough for more experienced golfers, but not too difficult for beginners. According to Manager Nick Winters, "more area golfers and tourists discover the course each year, and many become regulars. We are working hard to deliver a truly fun and affordable golf experience"
Fairfield Hills remains very optimistic about the course's future. State recognition is a testament that they are indeed headed in the right direction. Tracy cites the team's outstanding job maintaining the facility, and a significant increase in marketing and advertising as reasons for growth. "We are also very fortunate to have a talented Grounds Supervisor and a Manager who is passionate about running the facility." The number of golfers participating in the Monday morning senior league continues to increase as does the number of area companies who receive corporate discounts for their employees." The Fairfield Hills Golf Course & Range closed on November 1st, but they invite anyone who has not visited the course recently to come check out the facility next spring and see why they were selected the past three years as Wisconsin's top 9-hole golf course based on appearance and maintenance. To get more information, call 608-356-5524 or visit fairfieldhillsgolfcourse.com.